You need a username and password to place holds, download books, or renew. Contact us for help. Story Time has been rescheduled from Wednesday until today due to poor weather. Come join Catherine for easy, entertaining and educational classes once a month. You will be introduced to a variety of world cultures and crafts. Adults and older children who are accomapanie by an adult are welcome. 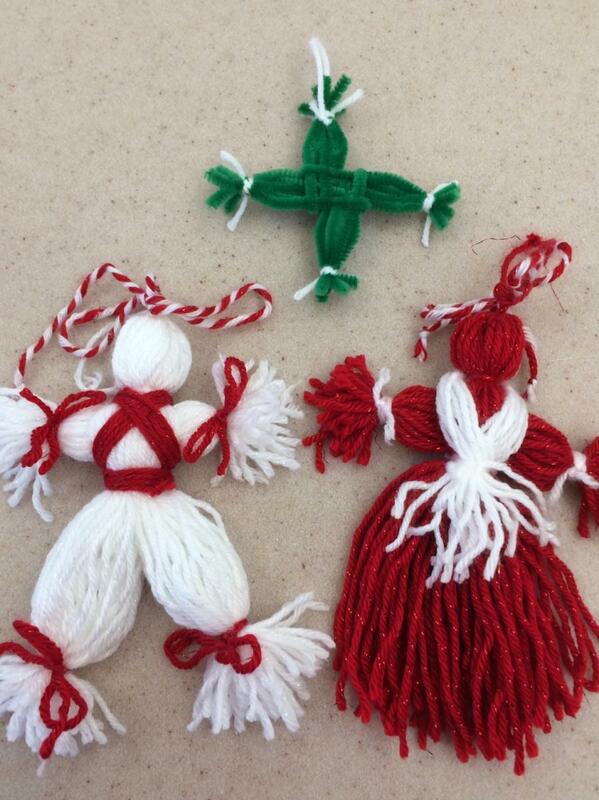 In March we will be celebrating spring, and will be making either an Irish St. Briged's Cross, or Bulgarian Yarn Dolls named Pijo or Penda. Please bring a good pair of scissors; all other supplies will be provided.